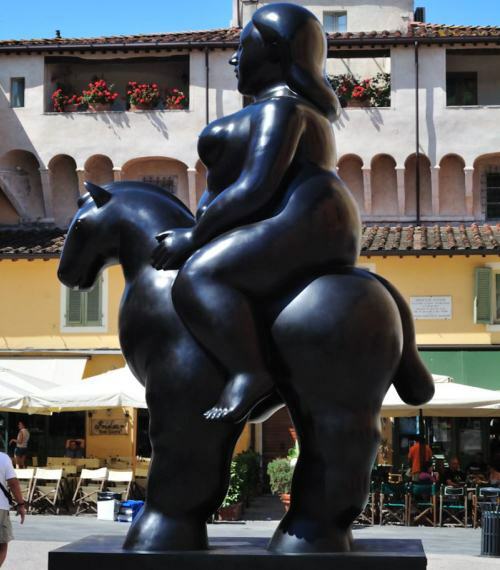 Pietrasanta, the Versilia fashionable artistic town celebrates the eightieth birthday of Ferdinando Botero, the Columbian artist famous for his oversized bronze sculptures with an amazing exhibition in Piazza Duomo and in the nearby church and cloister of Saint Augustine. Pietrasanta is much cherished by the painter who has had here one of his many homes since the eighties. 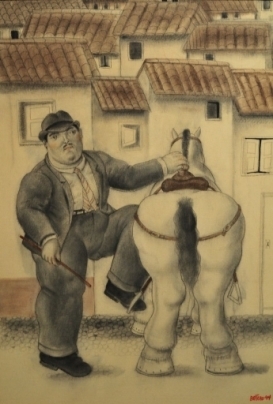 An artistic tour winds up in the center of this small town Botero has symbolically protected at its entrance d with his controversial huge warrior. About ten huge bronze statues most of them featuring woman in many classical poses, seated, reclined, standing or in the mythological attitude of Leda were accurately thought and placed by the artist-director. A big bronze cat on the steps of Saint Augustine’s Church invites the visitor to get inside to admire other amazing works . The oversized figures both in sculptures and in drawings are his personal homage to Giotto and Masaccio he saw in 1952, on his first approach to Florence. There he first developed his own intuition, the belief in extra sized figures which, according to him, enhance the existence of the object versus the contemporary flat painting denying five centuries’ artistic tradition. 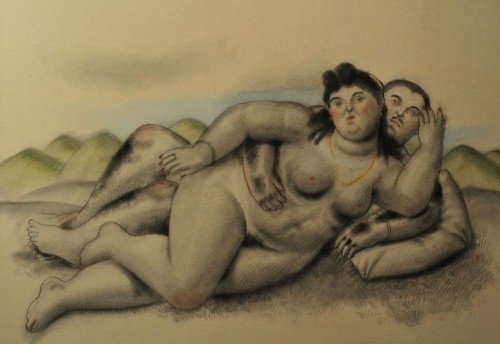 Botero loves saying that artistic beauty has nothing to share with the real one, thus referring to the aesthetic prototype of contemporary woman. What seems unpleasant in real life can become beautiful in artistic domain. One wants to believe him when comfortably looking at his figures which seem to shroud the watcher. Their richness and abundance sound reassuring and we want to trust this handsome aged man whose good Italian doesn’t conceal his South American origins. 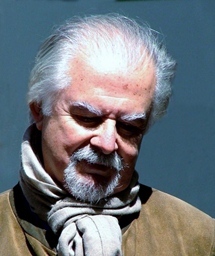 Medellin is his home town but he loves Pietrasanta, the friendly town which warmly welcomed the artist more than thirty years ago. Take the chance to visit the exhibition lasting up to the beginning of September 2012, profiting from the accommodation, offered by Tuscany Holiday Rent in a lovely cottage lately renovated, though faithful to its original features. Questa voce è stata pubblicata in Art and accommodations, Culture and accommodations in Tuscany e contrassegnata con Accommodation, Accommodations, Botero, Lucca, Pietrasanta, Tuscany. Contrassegna il permalink.